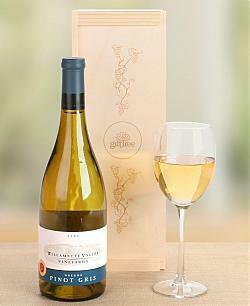 We have partnered with GiftTree.com allowing KensWineGuide.com readers to receive 10% off wine gift baskets. Click through below to GiftTree.com and use promo code KEN10 at checkout and the discount will be applied. GiftTree.com has many great wine gift baskets to choose from. Listed below are a few of Ken's favorites priced from the lowest to the highest. $25.95 Bright fruit and crispy acidity make this Willamette Valley vintage the quintessential Pinot Gris. Tasters will detect young pear and starfruit on the palate with notes of mineral and spice on the finish. The mouthfeel is well-balanced and lends itself to many food pairings, including grilled wild salmon, shellfish pasta, or chicken salad. Peak drinkability between now and 2009. Serve chilled for optimal enjoyment. Wine arrives in custom crate engraved with grapevine motif. Gift measures 16" x 7" x 7" and weighs 6 lbs. $29.95 An award-winning and consistently highly-rated Sauvignon Blanc from the prized, low yielding vineyards in Marlborough, New Zealand. Rated 91 points by Wine Spectator, the wine is concentrated and intense, yet weaves a harmonious medley of grapefruit, nut, and toasty oak flavors. Pairs well with raw shellfish and butter-based pasta. Wine arrives in a wood crate engraved with a vineyard motif. Gift measures 16'' x 7'' x 7'' and weighs 6 lbs. $39.95 True to the Bergevin Lane style, this is a delicious well-balanced blend of hand-picked Cabernet Sauvignon, Merlot and Syrah grapes. It is a deep ruby colored wine with layers of black fruit--black cherry, dark plums and huckleberry--spices and vanilla shadings. It has good structure and soft tannins, distinctive black cherry, vanilla and hints of coffee on the finish. Wine arrives in a wood crate engraved with a vineyard motif. Gift measures 16'' x 7'' x 7'' and weighs 6 lbs. Due to the alcoholic content of this gift, an adult signature is required upon delivery. 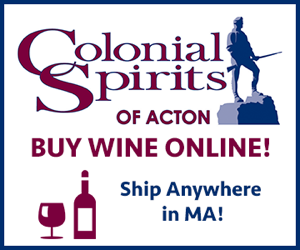 Delivery of gifts containing alcohol is dependent upon local ordinances. $44.95 The Bonterra Vineyard in Mendocino County is a pioneer of organic viticulture. They are committed to sustainable farming and organic growing methods, believing that only organically grown grapes can truly express the purity and intensity of varietal character. One sip of the wines in this duo, and you'll understand the reasoning behind all of their extra effort. 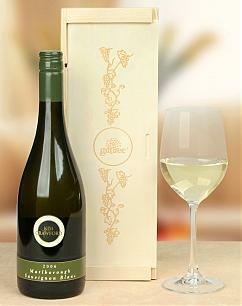 The Chardonnay opens with rich aromas of baked pear and toasted almond. Flavors of pineapple and citrusy lemon are balanced by vanilla and butter cream. 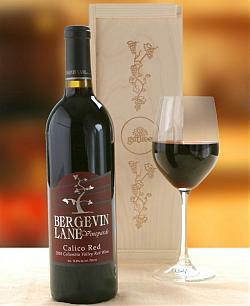 The Cabernet Sauvignon is an approachable, Old World styled wine with juicy red berry and spice flavors. The mouthfeel is rich and full, giving way to a thoughtful finish. Wines will arrive in an elegant, vineyard-themed wood crate. Due to the alcoholic content of this gift, an adult signature is required upon delivery. $59.95 This amazing duet features one of ''Wine Spectator'' magazine's Top 100 Choices for 2007 -- the Columbia Crest Grand Estate Merlot (90 points). Teamed with the Columbia Crest Chardonnay, the two wines offer a synergy that is grown in the vineyards and preserved in the cellar. Complementing these fine wines are Saraivanov Smoked Salmon, Aaron Bell Crackers, Auberge Camembert cheese spread, Toffee Peanuts, and Caramels. All this in a keepsake box with an antique compass design and magnetic lid closure. Gift measures 16''x13''x4''. $124.95 Kendall Jackson's relentless pursuit of perfection has made them one of California's most recognized wineries. Always tasteful, this trio of Kendall Jackson classics-Chardonnay, Merlot, and Cabernet Sauvignon-makes this basket a preferred choice to give and receive. A set of two cheese knives joins Auberge Brie cheese spread, Saraivanov Smoked Salmon fillet, lightly seasoned Aaron Bell Crackers, Old Fashioned Candy, Judy's Gourmet Caramels, Brown & Haley's Almond Roca, Sour Cherry Candy, Macadam's Lemon Tea Cookies, and Fruit Drops. For those who are especially deserving of your attention. Gift measures 18" x 13" x 7". 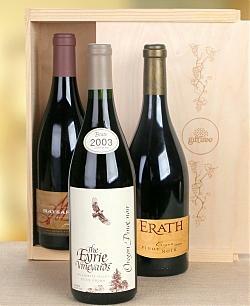 $129.95 Three world-class Pinot Noirs from Oregon. First, a 2006 Eyrie Vineyards Pinot. A pioneer in the viticulture of Pinot Noir, Eyrie Vineyards produces a classic Pinot Noir of complexity, elegance and finesse. Erath Vineyards Pinot Noir presents bright red. Strawberry and cranberry aromas lifted by zesty white pepper and nutmeg. Light-bodied and taut, with refreshingly bitter cherry and wild strawberry flavors and an exotic suggestion of orange peel. Finishes with fine-grained tannins and lingering flavors of dried red berries and herbs. Maysara Pinot Noir 2003 Estate Cuvee sets a classic tone with its fiery ruby color. The nose is loaded with crushed blackberries and raspberries, with powerful notes of white pepper, carnation and leather. A jewel. The wines arrive in a wood crate engraved with a vineyard motif. Gift measures 16'' x 14'' x 6'' and weighs 13 lbs. $169.95 Recognize their crowning achievement with champagne. 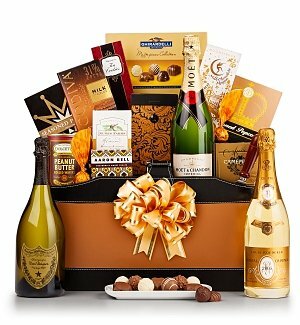 Select either Dom Perignon or Moet & Chandon White Star champagne to be the focal point of your gift. Both champagnes are prestigious award winners. While recipients toast the good fortune of your friendship, they will enjoy delicate Saraivanov Caviar, Brown & Haley Almond Roca, Italian Biscotti, Auberge Camembert cheese spread, Aaron Bell Wine Companion Crackers, Seasoned Pretzels, Roasted Almonds, Gourmet Caramels, Pretzel Crisps, Pacific Gold mixed nuts (nutcracker included), Macadam's Lemon Tea Cookies, and Cassil & Klein Cranberry Snack Mix. Reserve it for your most important clients, business partners, and family members. Gift measures 26'' x 16'' x 8''. $399.95 Rated 94 points by both Wine Spectator and the Wine Advocate. The Caymus 2005 Cabernet Sauvignon Napa Valley Special Selection is a legend. It is full-bodied, opulent, seamless and heady. Ideal for drinking now or over the next 15+ years. We showcase the Caymus in a black-leather-and-suede basket with two additional fine bottles of wine and assorted gourmet foods. The Beringer Sauvignon Blanc 2006 stands on its own with fine ratings from Wine Spectator. It has bright acidity and fruitiness. The Chateau St Jean Pinot Noir 2002 is superior with lush cherry and plum flavors balanced by notes of toasty oak. Not to be outdone by the fine wines, the selection of gourmet food items is outstanding as well. Recipients will enjoy Auberge Camembert cheese spread, Aaron Bell Seasoned Crackers, Saraivanov Smoked Salmon, Signature Caviar, and an assortment of sweets that will have them praising your good taste and generosity. The best of the best. Perfect for giving to your most prestigious clients and associates. Gift measures 24''x18''x12''. Personalize it! Complete the embossing option during checkout and we'll print your message on a satin ribbon. One line with up to 45 characters, requested text repeats across entire ribbon. Allow 1 extra business day for processing. A nominal fee of $9.95 will be automatically added to the total when the personalization option is selected. $499.95 Elegantly apportioned with the finest available wines and gourmet foods. Dom Perignon (1999)-Unique and magnificent. The champagne of kings. Beaulieu Vineyard Georges De Latour Private Reserve Cabernet Sauvignon Napa Valley (2003)-One of California's finest Cabernets ever. Nearly perfect, very focused cassis and graphite flavors abound. Beringer Napa Valley Private Reserve Chardonnay - The wine is blended to create an intensely aromatic and flavorful wine featuring citrus, tropical notes of fresh pineapple and mango, creme brulee, brown spice, and butterscotch that come together for a seamlessly long, plush finish. The two tiered tray and basket ensemble holds the fine wines amongst a splendid assortment of appetizing food including Auberge Brie cheese spread, Aaron Bell Wine Companion Crackers, Phoenician Pastries, Roasted Almonds, Seasoned Pretzels, Beefeater Olives, Saraivanov Caviar, Lemon Drops, Citrus Gems, Fruit Candy, Cassil & Klein Almond Biscotti, Toffee Peanuts, Cranberry Twist, Macadam's Croccante, Lemon Tea Cookies, and Brown & Haley Almond Roca. The gift includes a set of two cheese knives and arrives with a hand tied taffeta ribbon and fruit garland. Nothing compares to our finest gift. Gift measures 24'' x 17'' x 10''.